In the early 1960s, Walt Disney was able to acquire the rights to Milne's Winnie The Pooh character. Because Walt fondly recalled reading the Pooh stories to his daughters, he was pleased to bring the character into the Disney fold. Under his supervision, Pooh's design was 'modernized' for his first screen appearance in WINNIE THE POOH AND THE HONEY TREE, a 1966 theatrical short film. 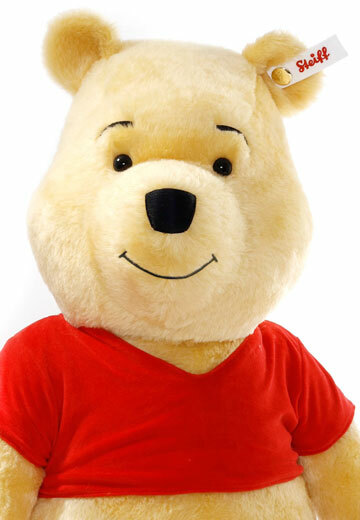 Pooh's new look in this film would become the definitive version of the character for a new generation of fans: those born from the 1960s through today. 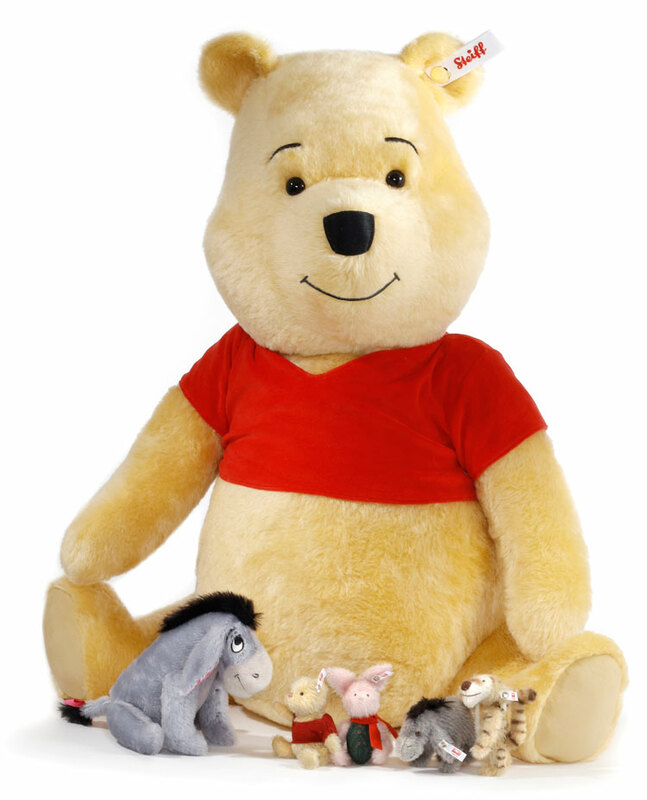 Steiff's Studio Disney Winnie the Pooh sits 33 inches tall. 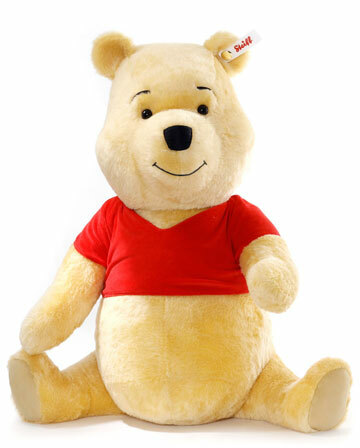 Pooh is made of the finest blond Schulte mohair and three way jointed. He wears his trademark red shirt popularized by the Disney films and television programs. 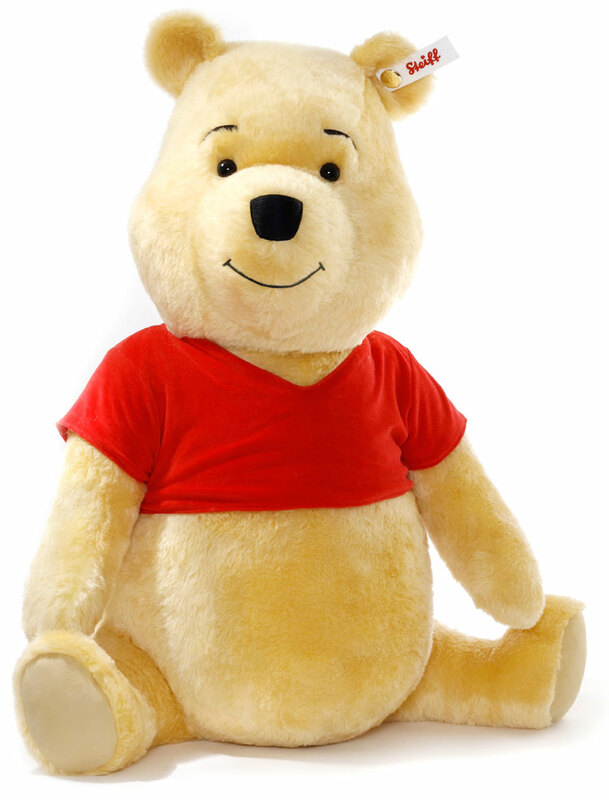 This 'modern' interpretation of the character beloved by all is the ultimate edition for Pooh, Steiff and Disney collectors alike. No collection is complete without it! Studio Disney Winnie the Pooh 690600 is a 2019 Steiff North American edition limited to only 500 pieces. 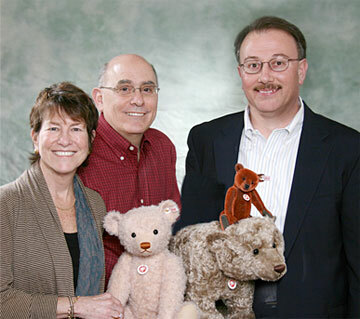 Please Note: Miniature Eeyore and Christopher Robin Gift Set are each sold separately.